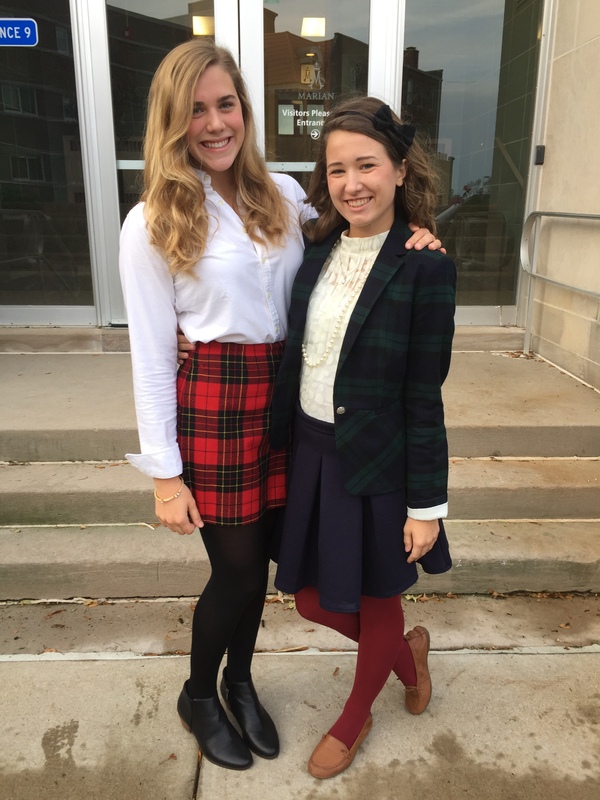 Blair and Serena spotted being as stylish as ever this October. 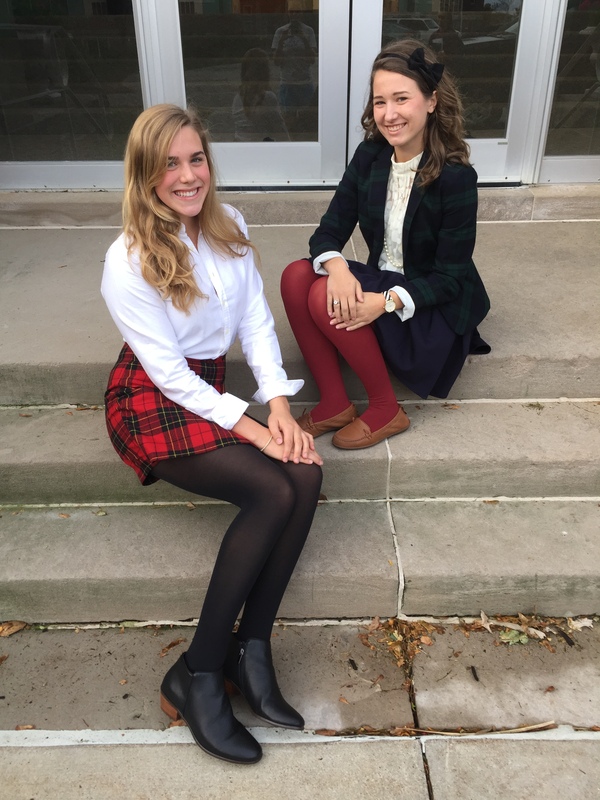 Oh sorry I mean it is just me and my pal Anya in blazers and plaid. 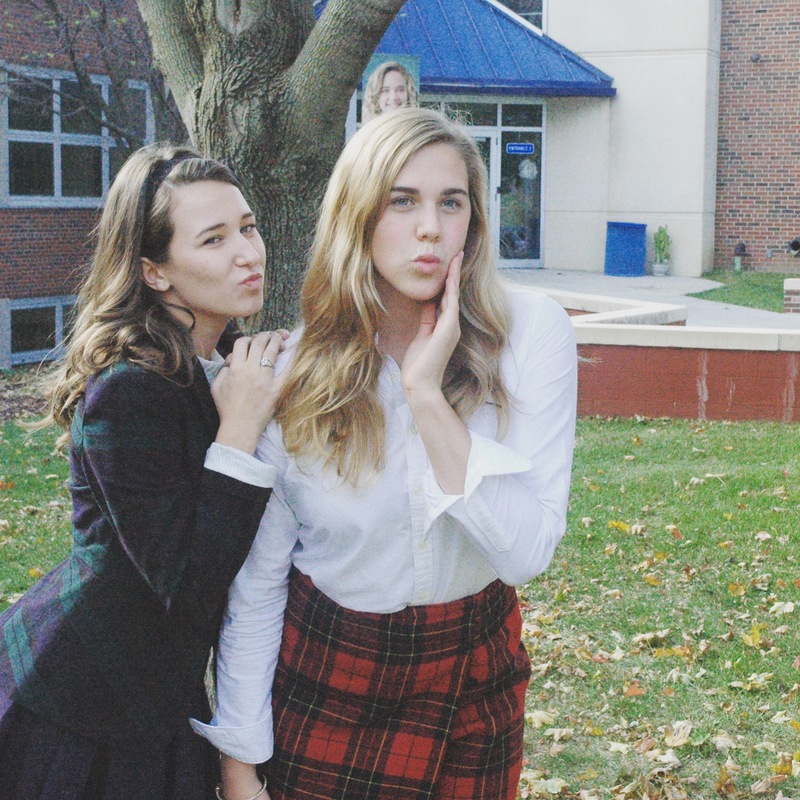 We had twin day for spirit week and I couldn’t even fathom a better couple for Anya and I than the infamous and oh so sassy Blair and Serena. It was seriously so much fun acting like I grew up in a prep school for a day and wearing my curls and bow headband seriously put me on top of the world. May I also add that wearing red tights boosts your confidence about 10 points. The costumes were SO easy to pull together and we had most everything in our closets. I had to run to Target and grab those tights but I will confirm that is the best $8 I’ve ever spent. 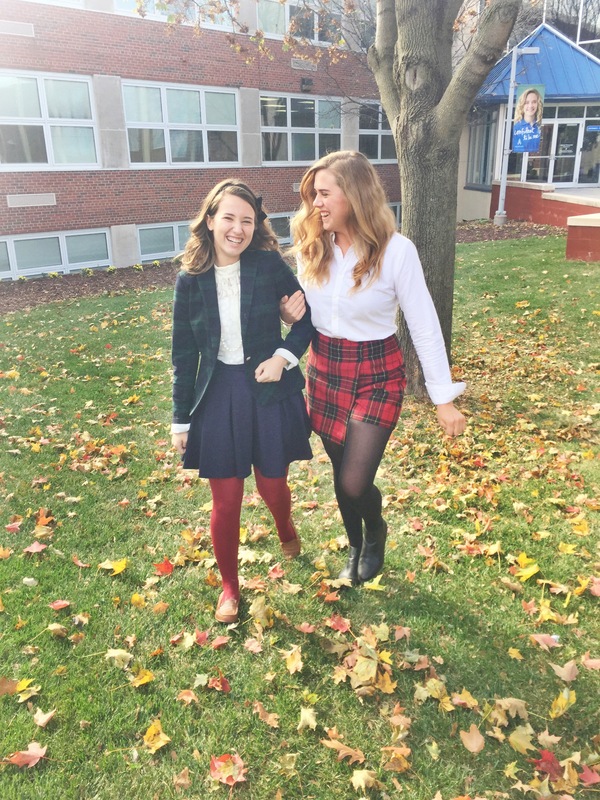 Seriously, if you’re looking to strut your inner Upper East sider this Halloween, grab your cutest blouse, make sure your headband is to the right, and throw on some colored tights and grab your go-to gal pal to do the same! much love to Anya for being the Serena to my Blair and much love to Tessa for keeping me on track while I write this post while I’m supposed to be working on our school newspaper…thx girly girl!